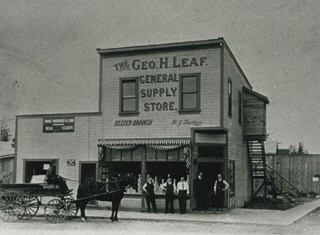 Photograph of a man standing on the doorway to a store with large signs for a branch of Dow, Fraser & Co. Limited for real estate, loans, and fire insurance. The trust company is advertised on the sign as having been established in 1900. There is another store in the building that is unidentified. According to the information on the gift form signed by the donor, Eric Warrington Howard Bennett was the branch manager of the Dow, Fraser company which started in Burnaby circa 1915. 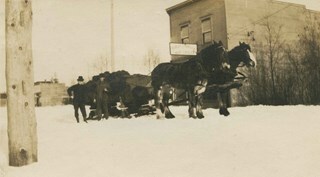 The store was located on the corner of McKay Avenue and the BC Electric Railway tracks. Later, a top storey was added to the building. 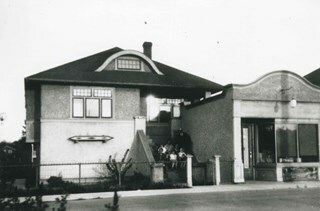 An annotation on the back of the photograph reads: "Burnaby Branch Office. / E.W.H. Bennett / Manager." This portion of the interview pertains to W.H. "Harry" O'Brien's involvement with the Army of the Common Good Cooperative stores and their beginnings. Harry mentions the Credit Union. Track six of interview with W.H. This portion of the interview pertains to Edith Mary (Hall) Wight's personal memories of house repairs taken on during the 1930s. Recording is of an interview with Edith Mary (Hall) Wight by Ross S. McLeod, July 21, 1975 at Edith's home on McKay Avenue, Burnaby. Major themes discussed are: the Depression and working outside the home. To view "Narrow By" terms for each track expand this description and see "Notes". Edith Mary (Hall) Wight arrived in Burnaby in September of 1920 from England, a self-described war bride. Her mother, Fanny (Carnelly) was an accomplished seamstress and her father, Robert Hall a hobbyist painter and carpenter. Edith and her husband Gordon Edward Wight lived at 420 McKay (later renumbered 6060 McKay) throughout their married lives. Within a year of moving to Burnaby, Edith got her first job sewing bedspreads for a large company, launching her career as an interior designer. She also started making dresses on commission. Gordon had a job at a fertilizer plant, which included delivering fruit trees and fertilizer door to door. He would often suggest new curtains or other material goods to the householders he visited, generating clients for Edith. Edith opened an Interior Design studio at South Granville in the first week of September, 1930 with her husband Gordon and Mrs. Ferguson, a previous client who ran a gift shop at the Georgia Hotel. Unfortunately, in 1932 Mrs. Ferguson became ill and was never to return to the studio. 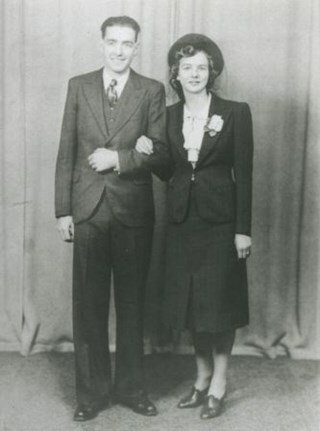 Edith and Gordon had two children; Clifford “Cliff” Wight born August 22, 1921 and Eulie Fanny Wight born in 1925. Clifford attended Kingsway West School in 1925 and was a graduate of Burnaby South High School. Eulie Fanny Wight graduated with a Bachelor of Arts from the University of British Columbia in 1957. Clifford also graduated from the University of British Columbia and was among the handful of students who first established the School of Architecture at UBC. Clifford later married Mary (Berryman) Wight. Gordon Edward Wight died July 30, 1945, his wife Edith Mary (Hall) Wight died November 11, 1986. Eulie Fanny Wight died June 19, 1998. Clifford Wight died February 27, 2005. 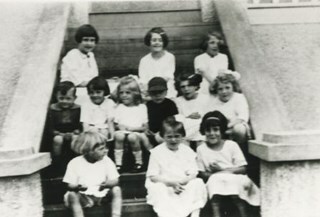 Photograph of a group of children seated on the steps of the Forster family's second house on McKay Avenue. 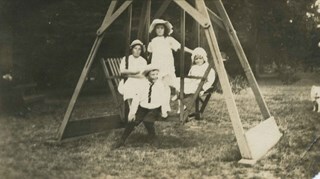 Photograph of the Pitman children on a lawn swing, at McKay Avenue. 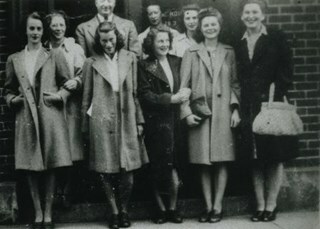 Identified (on the back of the photograph) are left to right, in the back row: Marjorie, Gwen and Dorothy. The boy, in front, is Cliff. 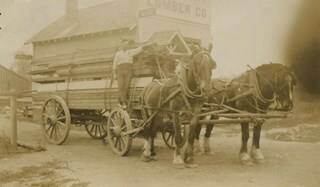 An annotation on the back of the photograph reads; "On the swing at Mr. and Mrs. Ed Phillips just next to the Lumber Yard facing the track at McKay. / 1916." 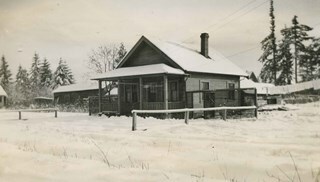 Photograph of the Martin family home in the winter, covered in snow. 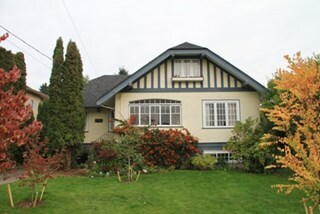 The house was at 2671 McKay Avenue (renumbered 6408 McKay Avenue - this area has since been further sub-divided). 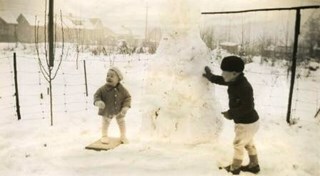 Photograph of two young children building a snowman on the Martin family property in the winter. The property was at 2671 McKay Avenue (renumbered 6408 McKay Avenue - this area has since been further sub-divided). 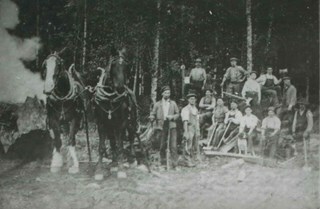 Photograph of a land clearing crew, with horses and tools, in the Metrotown area near McKay Avenue. Photograph of Ed Brown's four. 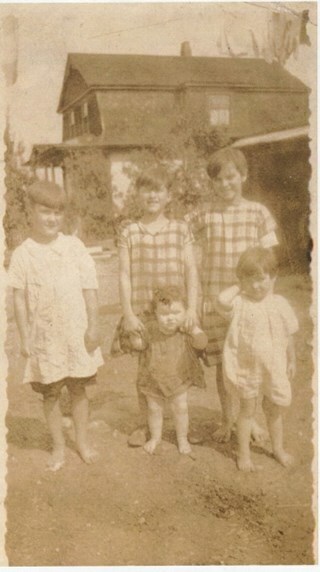 Identified are; Elsie, Laura, Flossie, Reta and Dickie. 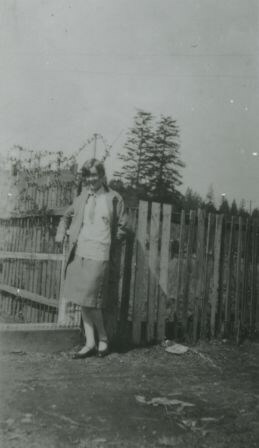 This photograph was taken in front of the Brown's McKay Avenue home. 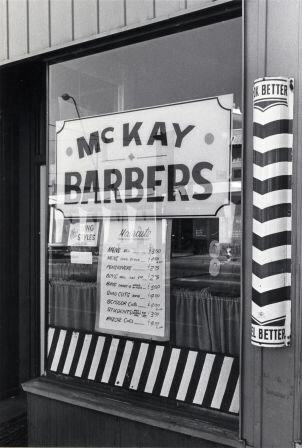 Photograph shows signs in the window of McKay Barbers advertising prices for haircuts. 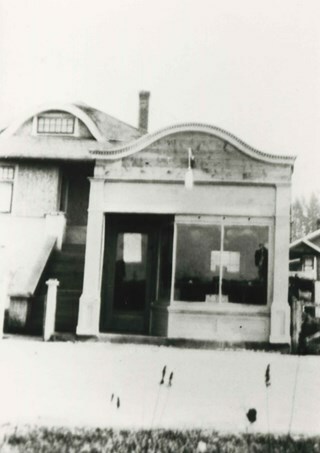 The shop, on Kingsway near McKay, was built in the 1920s originally as part of the grocery store next door and was a bakery for a time. 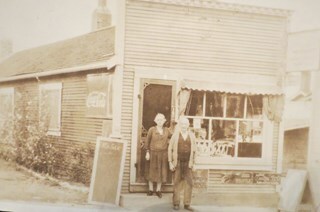 At the time of the photograph, it had been a barber shop for 42 years. Photograph of the Royal Bank of Canada branch located on Kingsway and McKay in Burnaby. Telephone visible in foreground and a post labelled "KINGSWAY" is on left foreground, at corner of street. Note on verso of photograph reads: "The Royal Bank of Canada Archvies 78-156/ #89"
Photograph of the front of the former Royal Bank building on Kingsway at McKay Avenue. 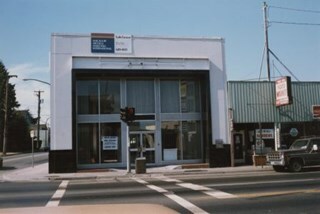 Vera Jackson Pel worked at this branch of the Royal Bank from 1944 until 1952. 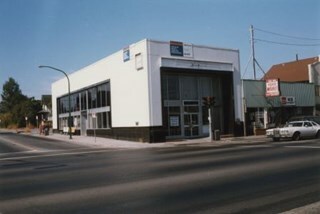 Photograph of the former Royal Bank building on Kingsway at McKay Avenue, taken from Kingsway, looking up McKay Avenue. Vera Jackson Pel worked at this branch of the Royal Bank from 1944 until 1952. 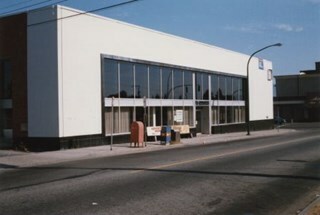 Photograph of the east side of the former Royal Bank building on Kingsway at McKay Avenue. This side faces onto McKay Avenue. Vera Jackson Pel worked at this branch of the Royal Bank from 1944 until 1952. Photograph of the back and east sides of the former Royal Bank building on Kingsway at McKay Avenue. A beige sedan is driving along McKay Avenue and a white pick-up truck is parked in the back parking lot of the Royal Bank. Vera Jackson Pel worked at this branch of the Royal Bank from 1944 until 1952. 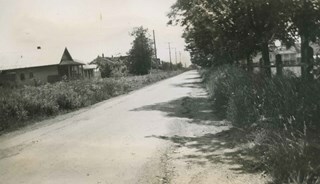 Photograph of the Richards family home on McKay Avenue, halfway between Kingsway and the streetcar tracks. Three or four children are standing on the porch. 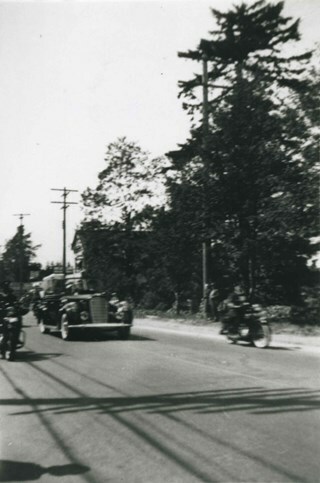 Photograph of King George VI and Queen Elizabeth's motorcade driving along Kingsway and McKay Avenue during their visit to Burnaby. 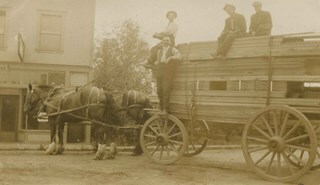 Photograph of the staff at the McKay Branch of the Royal Bank standing outside the bank, in front of a car. Marie Russel is in the front row, third from the left. The bank manager, Mr. Stewart is on the far left, and the accountant Reg. Gillingham is on the far right. Photograph of the staff at the McKay Branch of the Royal Bank standing outside, in front of the Kingsway side of the building, in front of the main door. 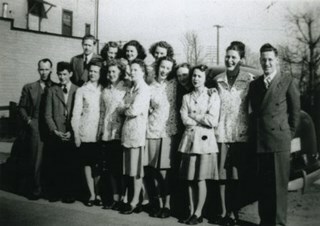 Marie Russel is the young woman standing in the front row, second from the right. 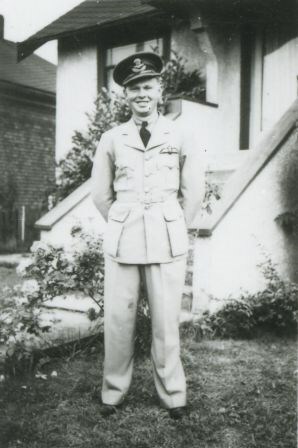 Photograph of Alastair Macdonald, in uniform, standing in front of a house at McKay Avenue and Kingsway. Photograph of William A. "Dinty" Moore outside a storefront at Kingsway and McKay Avenue. The store window advertises radios and televisions. Kingsway West School in "Goldenhair & the Three Bears"
Photograph of the cast of the Kingsway West School's production of "Goldenhair and the Three Bears." The costumed students, varying in grades and ages, are posed in front of a painted backdrop on a stage. Inscribed on the negative and printed on the photograph, bottom front: "Kingsway West School in 'Goldenhair & the Three Bears.'" and "Stuart Thomson / Vancouver / B.C." 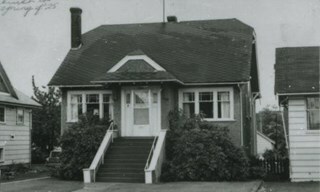 In a letter written to the museum in 1973, the donor states, "This Kingsway West School concert was held fifty odd years ago, I believe in the then 'Phillips Hall' at the corner of McKay Avenue and the old interurban line." 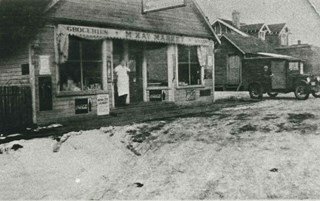 Photograph of McKay Market at 2624 McKay Avenue (later renumbered 6555 McKay Avenue). 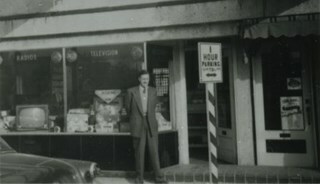 Identified: (back) Ed Morash, driver of delivery truck (brother of Murial Morash Crosby); (in doorway) William Tate Wilson, store owner and later Reeve of Burnaby, 1943-44. Photograph of William Tate Wilson, owner of McKay Market and later Reeve of Burnaby, 1943-44. McKay Market was located at 2624 McKay Avenue (later renumbered 6555 McKay Avenue). 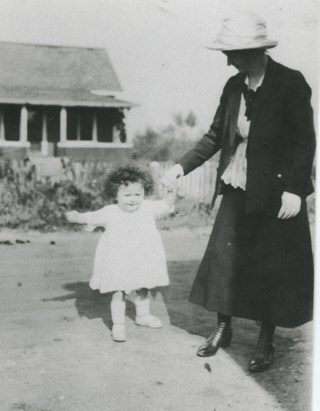 Photograph of toddler Vera Forster her mother at 2849 McKay Avenue (old street number). 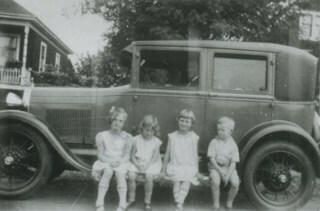 Photograph of Mrs. Forster and likely her two oldest children, Vera and Mary, sitting on the running board of a car which looks to be a Hudson Phantom. 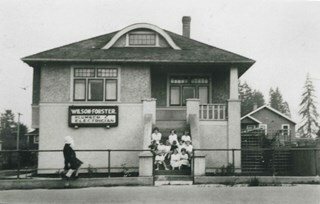 They are in front of the Wilson Forster plumbing and electrical business and Forster family home at 2849 McKay Avenue (later renumbered 6038 McKay Avenue). A sign on the building reads, "Wilson-Forster / Plumber & Electrician." 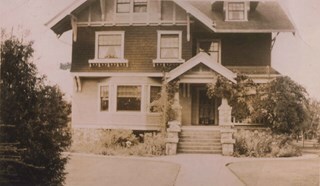 Photograph of the Forster family home at 2849 McKay Avenue (old street number) also housing Wilson Forster's plumbing and electrical business. A group of girls are sitting on the front steps. 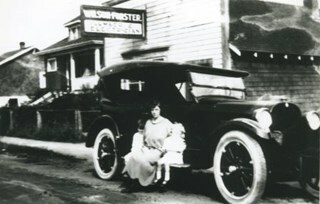 Photograph of the Forster family home at 2849 McKay Avenue (old street number) with Wilson Forster's plumbing and electrical shop attached. Originally the business was located in the residence. A group of adults and children are on the front steps of the house. 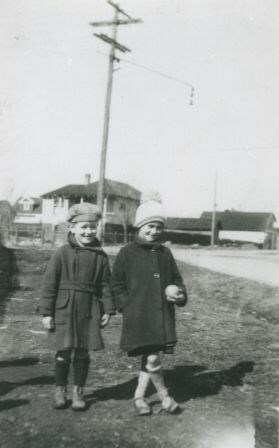 Photograph of brother and sister Gordon (younger) and Murial (older) Morash outside their family home at 2560 McKay Avenue (now 6635 McKay Avenue). 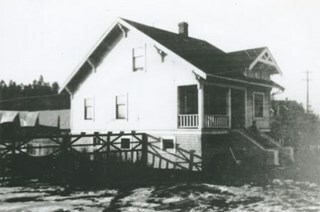 Photograph of the Morash family home at 2560 McKay Avenue (later 6635 McKay Avenue). 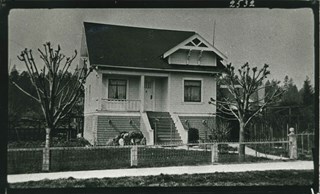 Photograph of the King family home at 2680 McKay Avenue (old street number). It had 22 rooms. Three women are standing in the doorway. 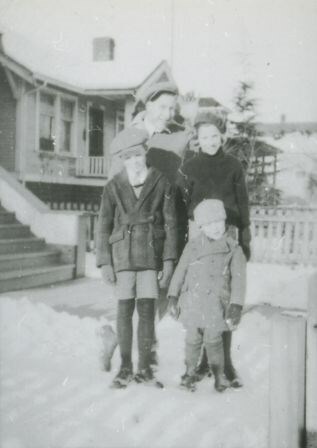 Photograph of Matheson family siblings in the front yard of 2890 McKay Avenue (later renumbered 6149 McKay Avenue) in the snow. Clockwise from top: Dan, Bea, Eddie, and John Matheson. 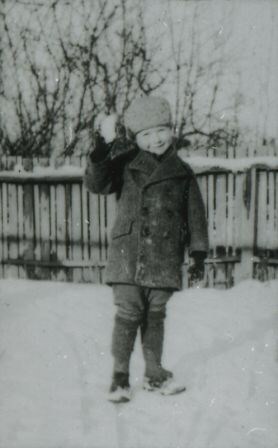 Photograph of Eddie Matheson in the snow in the backyard of 2890 McKay Avenue (later renumbered 6149 McKay Avenue). 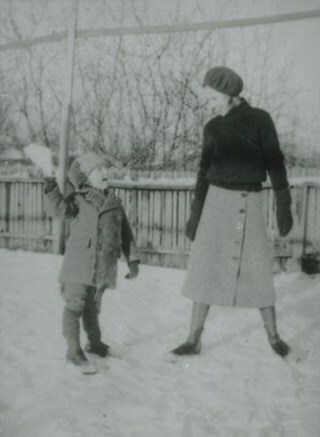 Photograph of siblings Eddie and Bea Matheson in the snow in the backyard of 2890 McKay Avenue (later renumbered 6149 McKay Avenue). 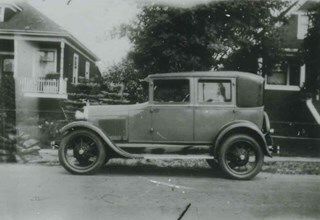 Photograph of a Model A Ford parked in front of 2890 McKay Avenue (later renumbered 6149 McKay Avenue). Angus Matheson is at the wheel. Photograph of (left to right): Helen Matheson, Myrtle Matheson, Beatrice Mengel, and Johnny Matheson, sitting on the running board of a car in front of 2890 McKay Avenue (later renumbered 6149 McKay Avenue). Angus Matheson may be at the wheel. 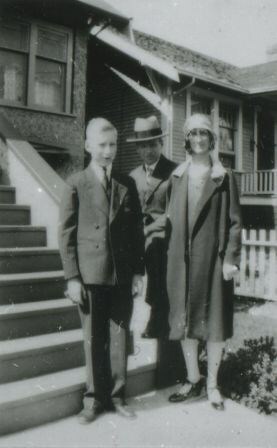 Photograph of the Matheson family standing in front of 2890 McKay Avenue (later renumbered 6149 McKay Avenue). Left to right: Dan (son), Angus (father) and Fanny (mother). 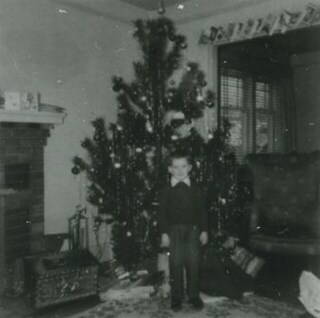 Photograph of Robert Matheson standing in front of a Christmas tree in the living room of 6149 McKay Avenue. 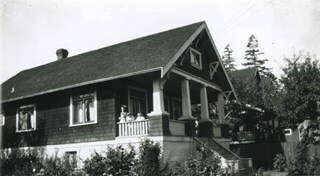 Photograph of the Matheson family home at 6149 McKay Avenue (formerly numbered 2890 McKay Avenue). It was built in the spring of 1926.